Join us for an afternoon of self-care, self-love and self-discovery for FREE! 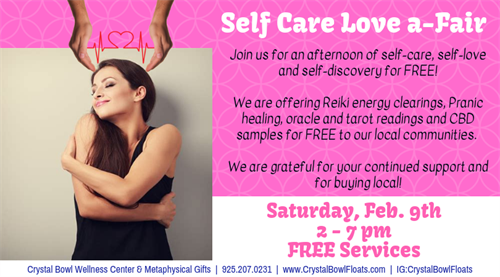 We are offering Reiki energy clearings, Pranic healing, oracle and tarot readings and CBD samples for FREE to our local communities. We are grateful for your continued support and for buying local!